The scientist Roithamer has dedicated the last six years of his life to "the Cone," an edifice of mathematically exact construction that he has erected in the center of his family's estate in honor of his beloved sister. Not long after its completion, he takes his own life. As an unnamed friend pieces together—literally, from thousands of slips of papers and one troubling manuscript—the puzzle of Rotheimer's breakdown, what emerges is the story of a genius ceaselessly compelled to correct and refine his perceptions until the only logical conclusion is the negation of his own soul. 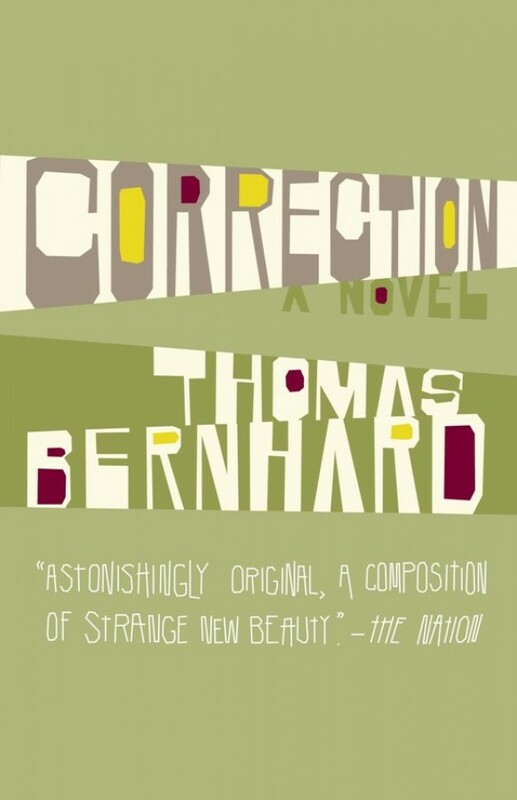 Considered by many critics to be Thomas Bernhard's masterpiece, Correction is a cunningly crafted and unforgettable meditation on the tension between the desire for perfection and the knowledge that it is unattainable.